There are 19 other images of this object. See our image rights statement. 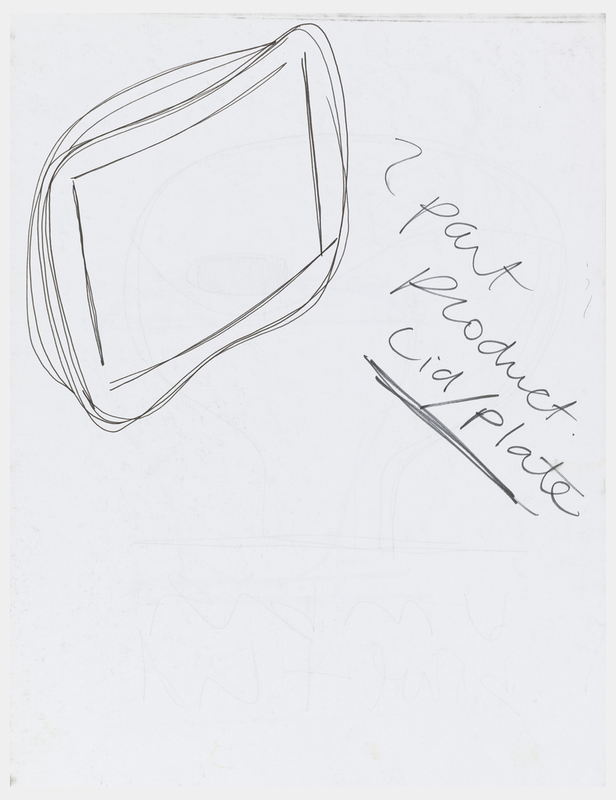 This and 16 other objects are a part of a set whose first object is Sketchbook, Sketchbook with Designs for Tableware, Music Equipment and Other Products, 1998. This is a Sketchbook. It was designed by Karim Rashid. It is dated 1998 and we acquired it in 2000. Its medium is ring-bound black cardboard with 17 white paper pages; rollerball pen in black ink. It is a part of the Drawings, Prints, and Graphic Design department.